Get creative with our Click.Artistry series: products created especially to showcase your favorite images or papers in beautiful ways! 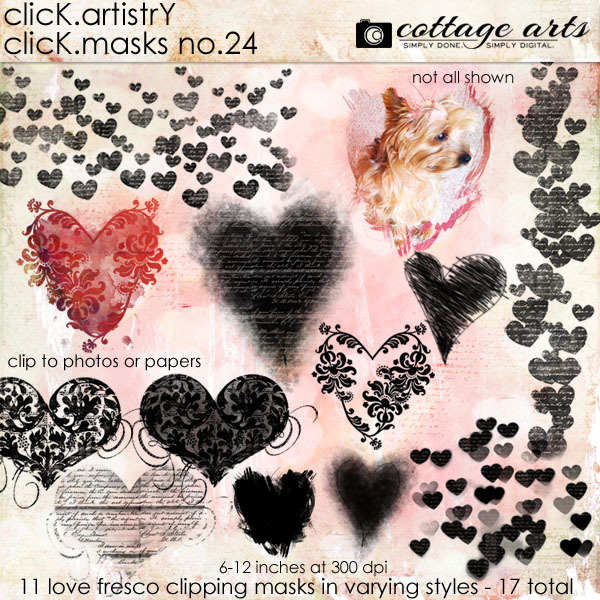 These Click.Masks are a bit different than most of our other sets in that they are made for both photos and papers. 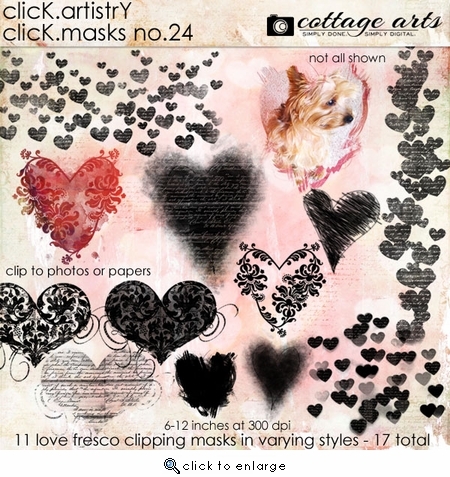 Includes 11 various heart and love inspired shapes and sprays in various styles (6 to 12 inches in size at 300 dpi - 17 total). Fill with papers, photos, both!